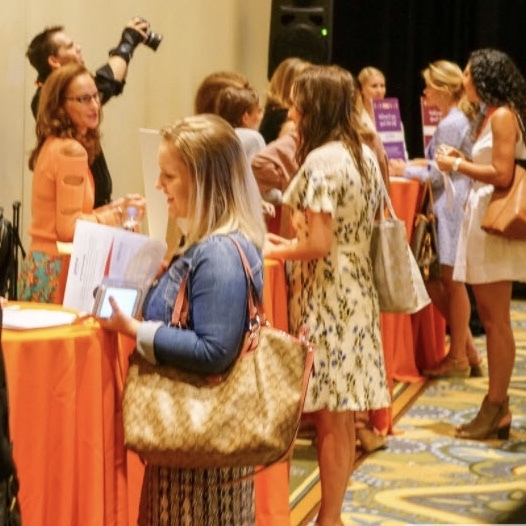 Many thanks to everyone who answered our post-#BlogHer18 Health survey, and for all of the positive feedback and great ideas for making the next event bigger and better. It was an inspiring event for us, too. We'd like to announce that we are making a switch in location for our #BlogHer18 Creators Summit this summer. We will now be hosting the event in New York City (we are currently deciding on which borough) and we are targeting the first two weeks of August. We hope this info is helpful as you begin to make your summer plans, and we have no doubt that our programming will inspire and educate the incredible women in our community. BlogHer was founded on the premise that women's collective voices hold boundless power. #BlogHer18 Creators Summit will celebrate the women who tell their stories to inspire and educate communities across the globe. While all bloggers and social media influencers will learn something from the programming, workshops and networking opportunities, Food, Beauty and Health will be key areas of focus. We are opening up our call for speakers right now! If YOU would like to be considered for a speaking slot at #BlogHer18 Creators Summit this August in NYC, just fill this form out. We'd love to hear from you. Anyone interested in sponsoring, please download a one-sheet. Many more details to come on tickets, exact date and location. So stay tuned to this site, to our email newsletter, and to our Facebook group for info!